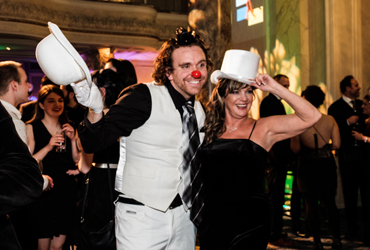 On March 17, 2018 Decidedly Jazz Danceworks (DJD) held its annual fundraiser and one of Calgary’s biggest and best parties – The Black &White Ball! This year the Black & White Ball welcomed over 550 guests. This year’s Black & White Ball helped to raise over $70,000! DJD, a registered charity, is a professional dance company that creates original performances and enriches lives by engaging people in exploring, evolving and promoting the art of jazz dance. Through fundraising DJD is able to continue creating original full-length works, provide enriched educational experiences for children and adults through our DJD School and many Arts in Education programs. Enable hundreds of kids from low-income families to receive bursaries to participate in a Summer Camp or class at the DJD School and provide intensive training through full and partial scholarships for talented young dancers in our Professional Training Program. Old Dutch is a proud to support DJD through product donation!